Contemporary style bathroom renovation in a mid-century style home. Beautiful high ceilings and natural light. 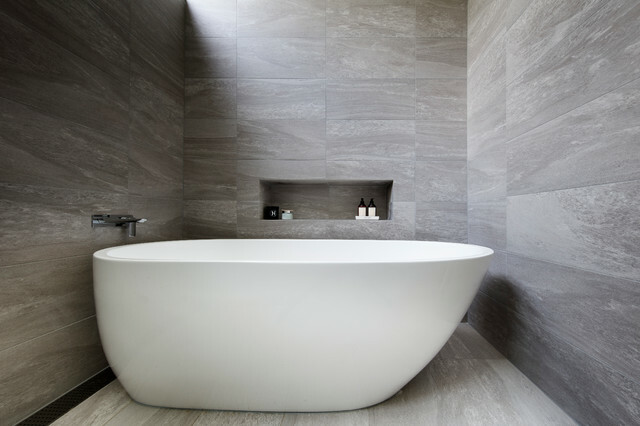 Cool greys, crisp whites and natural timber provide a modern day spa feeling of luxury and calm.